With a new Gundam series announced and just around the corner I thought I’d write a little bit about one of the biggest and most popular franchises in anime. Gundam is a multiple timeline spanning meta-series that can often be intimidating and confusing from the outside but one of the most worthwhile investments if you decide to take the plunge. So here is a list of some of the stories that for a variety of reasons I consider the best within the franchise. Of course none of these are in order as I hate ordering something so subjective as people can get angry over placement; however that being said I will label what I consider to be the “Best” Gundam which is distinct from what I consider my favorite Gundam. Full Disclosure: While small I will be up front there are gaps in my Gundam knowledge I have not seen every Gundam series (Victory) and have missed some of the OVA’s. When thinking about where to start it’s oftentimes the best to start at the beginning so of course I’ll start here. It’s hard to believe but Mobile Suit Gundam was originally made in 1979 before many of us were born in some cases long before many of us were born. However to this day the conflict between the Principality of Zeon and the Earth Federation remains a compelling story. This is obvious for many reasons but its use of eternal themes about the horrors of war have resonance accross many nationalities and times. However beyond that and much more importantly it had some of the most interesting characters in an anime at the time from the amazingly relatable and all around good guy in Amuro Ray to the complex and compelling Char Aznable Mobile Suit Gundam will long be remembered as one of the best stories in the series. Aside from that however Mobile Suit Gundam’s place is secured just due to its historical significance. If anyone wants to see where many of today’s animes origins lie Mobile Suit Gundam is a good place to start. Not only did it start and popularize the now dominant Real Robot genre (from the Super Robot genre) it inspired countless series both directly related and tangentially related to the series. Beyond that as well within Gundam as a franchise many elements required to make a show “Gundam” started here such as the glut of masked “Char Clone” villains, shonen protagonists, realistic depictions of warfare, and the use of the colour red to denote an elite. Mobile Suit Gundam had them all and any list of the best would be glaringly imperfect without it. I have written many times about my love of Gundam Wing and it’s follow up movie Gundam Wing: Endless Waltz as a gateway anime for myself and countless others. In fact it’s probably my favorite Gundam series easily as I can watch it time and time again with little issue. However that being said I’m not going to say its the best it’s merely my personal choice in fact it’s probably one of the more flawed entries on my list due to massive pacing issues at times and chronically annoying and misguided characters. That being said it’s popularity and status as a gateway anime for an entire legion of fans I’d say more then makes up for that and grants it a place on the list. Now why I doubled Gundam OO here. Well first Gundam OO was stated to be an update of Gundam Wing for the post 9/11 generation as both series deals with similar settings and themes. Beyond that it actually faces some of the same issues including infuriatingly naive characters, pacing issues especially in the second season, hell both series even make heavy use of bishonen character designs. However that being said its amazingly popular and I’m not the one to criticize something needlessly for being popular. Furthermore its easily the most beautiful and detailed Gundam to date being the first Gundam to appear in High Definition resolutions because of this Gundam OO really pops in a way the series hadn’t before and it wouldn’t be hyperbole to say its gorgeous. In the end while both series are not the greatest Gundams they are some of the best as entry points to the series for many fans, beautiful visuals both, as well as some of the best OPs and EDs in the franchise (Just Communication decades later still has a place on my main playlist) and generally just being a lot of fun. Okay sorry this is me being greedy again as really I couldn’t decide which was better War in the Pocket or The 8th MS Team (EDIT: I’m leaning towards War in the Pocket after writing this) so to be fair I just included both. Anyways both these are set within the main Universal Century timeline of Mobile Suit Gundam however as stand alone side stories these are intensely personal affairs and differ greatly from the main Gundams of the time. What makes these so powerful is instead of the focus on the technical marvels and power of the Gundam’s and mobile suits themselves they focus on the bit players the soldiers and civilians effected by war. With The 8th MS Team which can be summed up as Gundam Vietnam you see a gritty and ugly war; fought in jungles and dirt there is nothing glamorous about this war this war is real. Where the titular 8th MS Team is tasked with fighting a guerrilla campaign far behind enemy lines for reasons so far removed for the main conflict that it might as well not matter. War in the Pocket however is far different to describe the series would be to spoil one of the best stories in the whole franchise but it can be summed up simply as a story about war that know’s no sides in it’s pointlessness. As I said above War in the Pocket is a very personal story about friendship and tragedy; there is no happy ending in war and as such there is no happy ending to be found here and to me that’s what makes it great, much like the 8th it’s just feels real. In the end when fans speak to how Gundam can be a thoughtful series oftentimes they have thoughts of the 8th and the war in the pocket. If you want a different but profoundly powerful Gundam experience I say please watch these two (Especially War in the Pocket) at 12 and 6 episodes respectively there is literally nothing holding you back. Beyond this SEEDs tackling of genetic modification and its effect on humanity has quickly moved from science fiction to science possibility in the decade since airing and with every decade we move it becomes clearer this fate may not be so fictional. I’d argue that next to the movie GATTACA Gundam SEED is probably one of the best pieces of fiction to tackle this growing ethical issue. What I’m trying to say here is while you can criticize Gundam SEED for many reasons “Too mainstream” “To ‘anime’ character designs” (yes I’ve heard that one...) you can’t peg it as too childish or basic. Furthermore as OO was to Wing so to is SEED to Mobile Suit Gundam itself and provides a good barometer of if you’d like the Gundam franchise or not. Often is the case the follow up to a masterpiece is never as good as the original, this is not the case here. 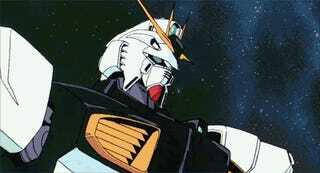 Zeta Gundam is without a doubt a worthy and daring successor to its predecessor. However its a very different series where there was a sense of hope permitting the entire production of Mobile Suit Gundam; Zeta feeling is one of hopelessness. Zeta is a story where the bad got worse if Gundam was a war of conquest Zeta is a war of destruction. Possibly only rivaled by The War in the Pocket Mobile Suit Zeta Gundam is probably the darkest in the series and one with easily the highest body count. 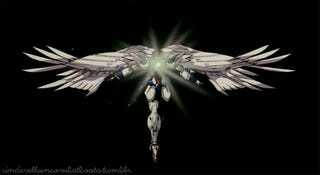 It’s here Gundam creator Yoshiyuki Tomino cemented his nickname “Kill em’ All Tomino”. In fact this was a series he wrote and directed while suffering a bout of depression giving it a very distinct and unique feel. While I can’t say Zeta is for everyone as its a very different series its a key part to the franchise and has provided the basis for the franchises more experimental tendencies present in some entries. If you’re looking for a series that is dark and adult without trying to being “dark and adult” you can do far worse. Hey more Universal Century who would have thought? Well here it is again. 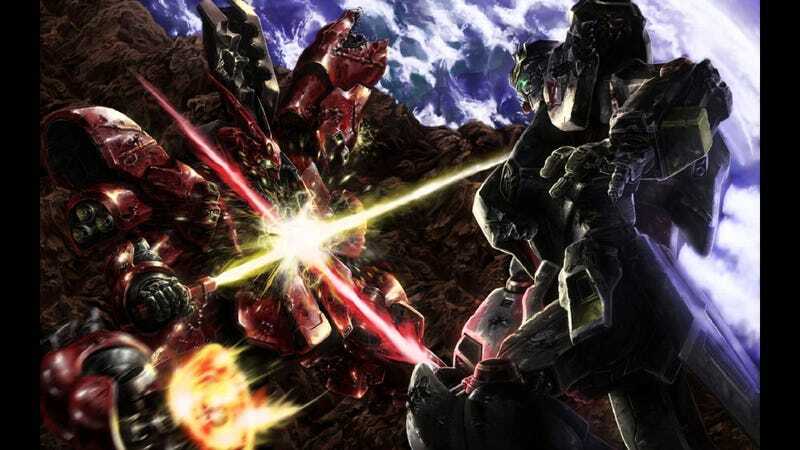 Gundam Unicorn serves an interesting purpose within the franchise as by the time of its creation the more modern Gundam installments had left its more aged fan base upset, Unicorn was conceived as a return to form a return to the classic Gundam that people who grew up with series could really enjoy. It was everything that was promised and more: crisp animation, beautiful mecha designs, a classic feel while still being modern all around a tour de force. It’s also interesting that while an accomplished stand alone story that can be understood by beginners its much better to start from scratch as you can only get the most from Unicorn by knowing the Universal Century as a whole, why becomes abundantly clear as the OVA goes on. It’s strange I can’t seem to find more to say other then watch it it’s really good. Was there any doubt I was going to end up here? With all of the hundreds of hours of Gundam media this is the best unquestionably. Artistically, thematically, historically all of it comes here with this movie. Amaru vs Char for everything for fans of the series this was the fight people had been waiting over a decade for. As a movie its easily the shortest on the list in terms of run time, however I’d argue its better for it. Unlike many others the film is perfectly paced from beginning to end with a great blend of action and exposition a balance a lesser film or anime often falls short in in. In terms of technical achievement Char’s Counterattack is a beautifully animated and the first in the franchise to incorporate CG technology (for better or worse) and the mecha designs are of course top notch. Overall everything you’d expect from a Gundam movie Char’s Counterattack has and is is executed perfectly. However what makes it great is that unlike basically every other piece of the franchise the movie is based around the villain. As a villain protagonist Char arguably the most interesting character the franchise has ever produced carries the movie his complex motivations and deep backstory are invaluable. Beyond Char alone his interactions with his long time rival Amuro Ray are some of the best in anime; while a rival fight has become one of the most cliched things in the medium this movie gets it right and because of it it’s so satisfying. All around at two hours Char’s Counterattack is the single best story the franchise has to offer. If you’re a fan of Gundam you’re doing a disservice to yourself by not watching this. Finally I’m giving an Honourable Mention to Gundam Build Fighters which while certainly not the best had something more recent outings of the franchise lacked (looking at you AGE) it was fun. There is no other ways to describe Gundam Build Fighters it’s just fun as a fan of Gundam if you’re not smiling while watching the series something is wrong. 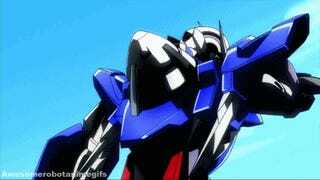 Full of Easter eggs like Romba Ral being well Romba Ral Gundam Build Fighters is a love letter to the franchise and its fans. All around a great time; basically Gundam without the gravitas which can okay too. On G Fighter: Okay since I’ve seen a lot of comments. G Fighter is not on this list because quite frankly its not “Gundam” as I define it. 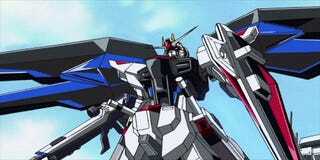 It’s a tournament show with Giant Robots named Gundam, that is all. It has more in common with a shonen action show like YuYu Hakusho then Mobile Suit Gundam, does that make it a bad show? No, it’s an amazingly fun show. However for the purpose of this list Mobile Fighter G Gundam is excluded. Thank you for reading my little write up of one of my favorite franchises Gundam. As I said up top I am under no illusions that this is the definitive list it’s merely my list full of my own biases which are plain to see. I love darker more adult Gundam stories which is why I lavished praise upon War in the Pocket and Zeta while completely skipping over something like G Fighter. Furthermore I was going to do a “Worsts” mini list but I really didn’t want to end the article on worst so I’ll give you the titles I consider the worst in an abridged form: Gundam SEED Destiny even the creators didn’t know what they were doing with this series, Mobile Suit AGE what can I say Professor Layton and Gundam don’t mix... and the absolute WORST Super Defender (SD) Gundam Force this was the 25th anniversary series seriously that’s how Sunrise celebrated 25 years of Gundam, what did they do get drunk the night before... anyways again thanks for reading and hope you’re looking as forward to Mobile Suit Gundam: Iron Blooded Orphans as I am speaking of which here is the English subbed announcement video courtesy of GUNDAMINFO hope you like it.